News: Was Driscoll's Board a Problem? 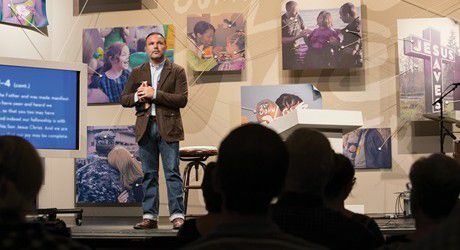 As Mark Driscoll leaves Mars Hill Church, one question may continue: Will the Seattle megachurch’s governance help or hurt as it moves forward? Current and former pastors levied charges against Driscoll this summer, including verbal abuse and lying about manipulating a bestseller list. Mars Hill leadership had comprised 24 elders (mostly church staff and members). In 2007, the structure became the seven-member BOAA: Driscoll, two other executive pastors, and four independent members. Mars Hill explained it was seeking greater objectivity in the board. After Tripp and another independent member (Chicago megachurch pastor James MacDonald) resigned this summer, Mars Hill replaced them with two Seattle businessmen who are members, and created an additional elder board involving seven lead pastors. A deeper question raised by the Mars Hill saga asks if nondenominational churches can better govern their congregation and disciple their pastors with elders drawn from within the church body, or if they should seek outside expertise. Read more here: News: Was Driscoll’s Board a Problem?